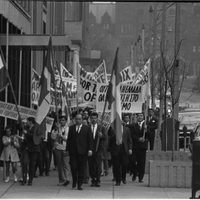 Image of mostly male protesters marching while carrying flags and signs, mostly in Greek. One reads "What are you doing abou[t] the torture [in Greece?]" 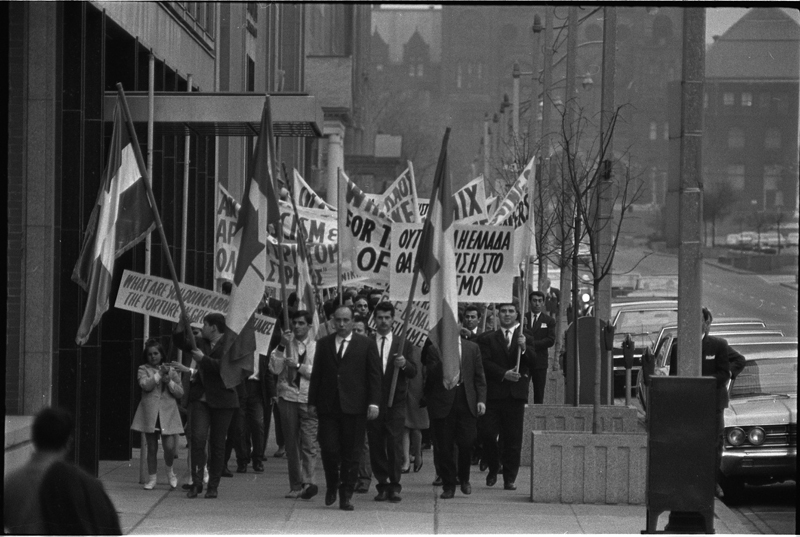 Norm Betts, “Greek Groups : March from Queen's Park to 100 University,” York University Libraries | Clara Thomas Archives & Special Collections online exhibits, accessed April 25, 2019, http://archives.library.yorku.ca/items/show/3862.